Owing to their phenomenal electrical and mechanical properties, carbon nanotubes (CNT) have been an area of intense research since their discovery in 1991. Different applications for these nanoparticles have been proposed, among others, in electronics and optics but also in the medical field. In parallel, emerging studies have suggested potential toxic effects of CNT while others did not, generating some conflicting outcomes. These discrepancies could be, in part, due to different suspension approaches used and to the agglomeration state of CNT in solution. In this study, we described a standardized protocol to obtain stable CNT suspensions, using two biocompatible dispersants (Pluronic F108 and hydroxypropylcellulose) and to estimate the concentration of CNT in solution. CNT appear to be greatly individualized in these two dispersants with no detection of remaining bundles or agglomerates after sonication and centrifugation. Moreover, CNT remained perfectly dispersed when added to culture medium used for in vitro cell experiments. We also showed that Pluronic F108 is a better dispersant than hydroxypropylcellulose. 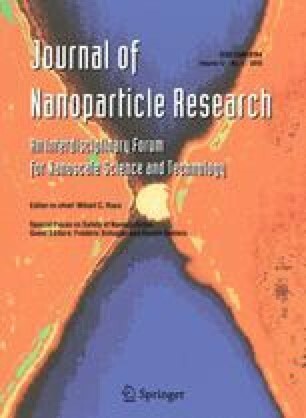 In conclusion, we have developed a standardized protocol using biocompatible surfactants to obtain reproducible and stable multi-walled carbon nanotubes suspensions which can be used for in vitro or in vivo toxicological studies. This work is supported by the “Direction Générale des Technologies de la Recherche et de l’Energie” (DGTRE) of the Walloon Region of Belgium (Nanotoxico Project, RW/FUNDP research convention No 516252). O. Toussaint is a Research Associate of the Belgian FNRS.